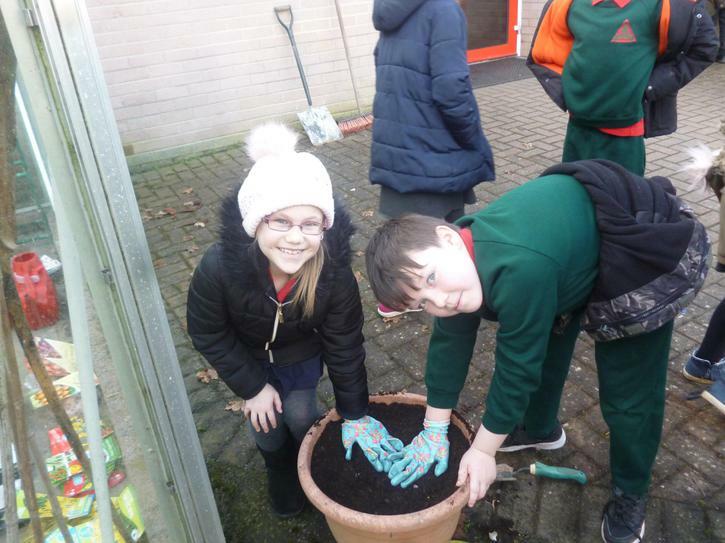 We all enjoy looking after our school and school grounds. 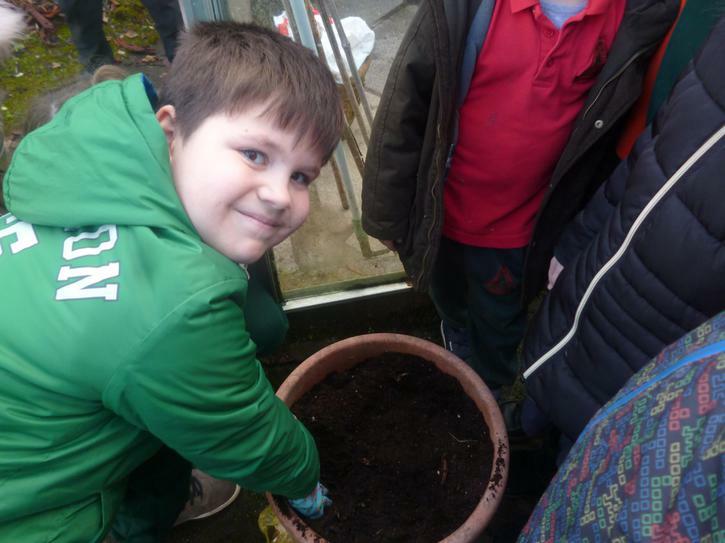 Each Wednesday, Mrs Quinn takes a group of Primary 4 children around the school to care for the grounds. 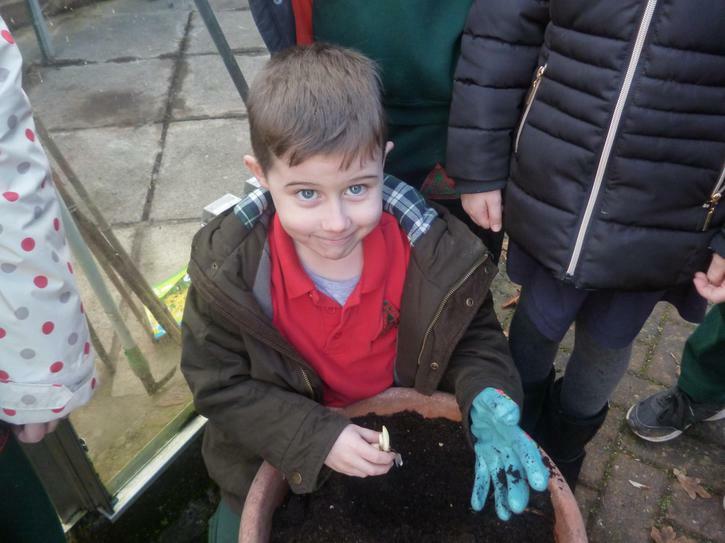 We have been busy clearing the greenhouse and planting various bulbs and seeds.